Our son is baby Yoda! We love Star Wars and his nursery his even star wars themed. 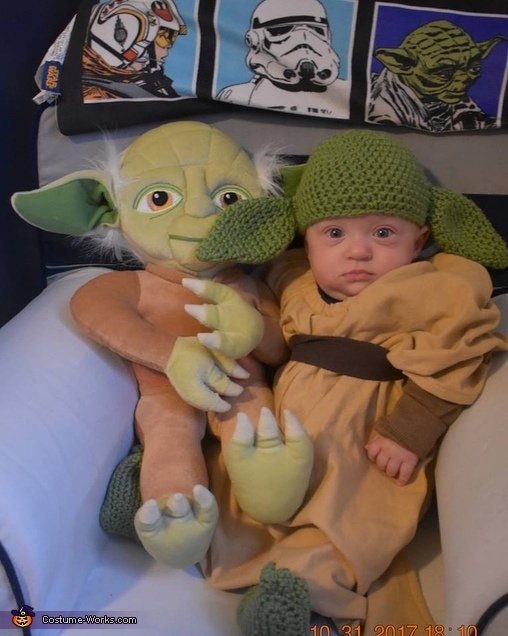 The Baby Yoda headpiece and booties were bought on Etsy but we did make his robe. We used a basic piece of flannel material and created a poncho. We then sewed arm wholes into the poncho to give it a more defined look and used dark brown material to create the sash.